From the City of Brotherly Love (Philadelphia) to the place you call home, including: Sydney, Australia – London, England - New York City – and many more cities across the globe. 2015 has been an amazing year for the RevResponse Network and Team. So many accomplishments, changes, and GROWTH! From the RevResponse Team and the entire NetLine Corporation we would like to thank you for your Partnership and we look forward to another exciting year ahead! Next week, while we enjoy this special time with our families and friends, our offices will be closed from Friday, December 25th through Friday, January 1st. We will reopen Monday, January 4, 2015. …and a BRAND NEW WEBSITE! The RevResponse Team is pleased to announce this week's release of new lead generation forms for the entire network. ...from our "spirited" office to yours, Happy Halloween! 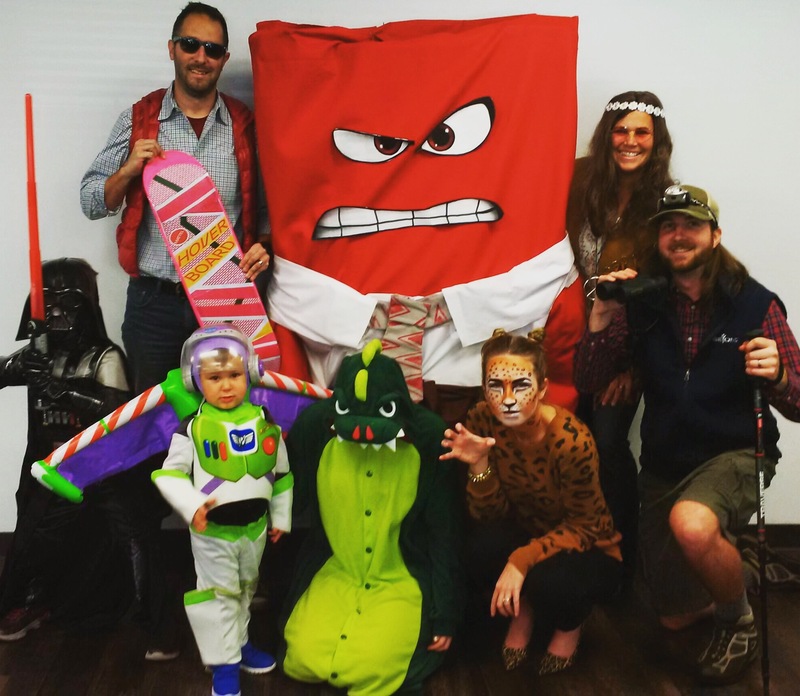 The costumes were better than ever this year, featuring: Marty McFly, Mr. Anger (Inside Out Movie), Hippie Chick, Mr. Outdoorsman, Cheetah, Dino, and special guests Buzz Lightyear and Darth Vader! We had so much fun celebrating this year, we turned our day into GIFs. Check them out on our RevResponse Twitter Page. This Week's Top 15 eBooks - for Free! Have You Promoted the New eBook Page? RevResponse Offer Catalog - New Features Released! The RevResponse Team is thrilled to announce the newest release to the RevResponse Platform and Offer Catalog. The RevResponse Offer Catalog connects publishers with the largest database of professionally relevant and enriching content from top advertising vendors across the world - and today our publisher partners will receive access to the full suite of available content, complete transparency into advertiser targets, payout values and more. Many of our publishers played an integral role in development and optimization of this product over the past few months. Thank you to those participants and we encourage your continued involvement in the platform. 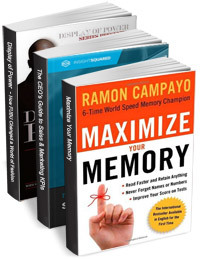 Exclusive New eBook Promotion Page – Available Now! A destination featuring our hottest new eBook offers has been in the works for some time now and we are ready to release it to all Publishers. The RevResponse Team has been testing this page with limited audiences for several weeks and reporting significant increases in audience engagement, requests, and earnings. Welcome back from a long holiday weekend, we hope! New eBooks are now live and ready for promotion; several are featured below. Plus, don't miss out on the September Sweepstakes offer; one of your audience members could win $2,000. Have a great week and good luck. 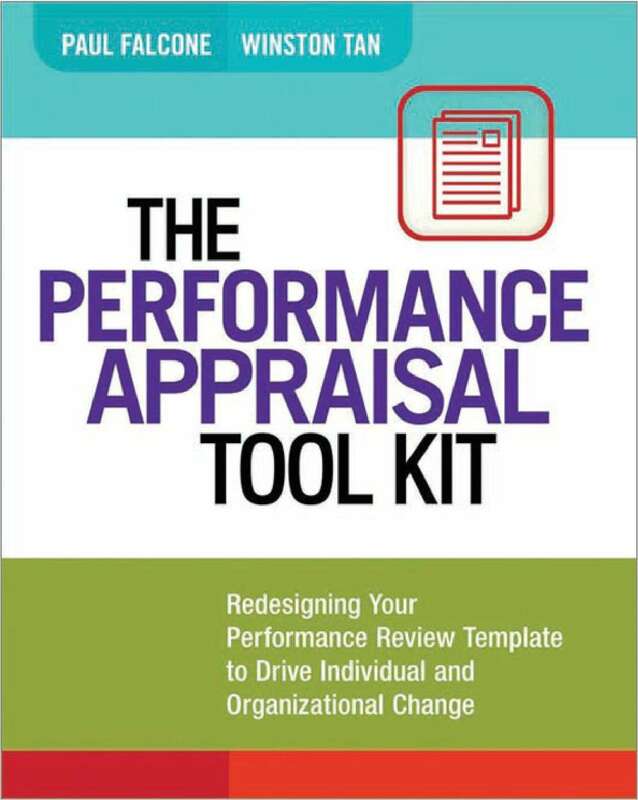 "The Performance Appraisal Tool Kit: Redesigning Your Performance Review Template to Drive Individual and Organizational Change (a $21.95 value!)" 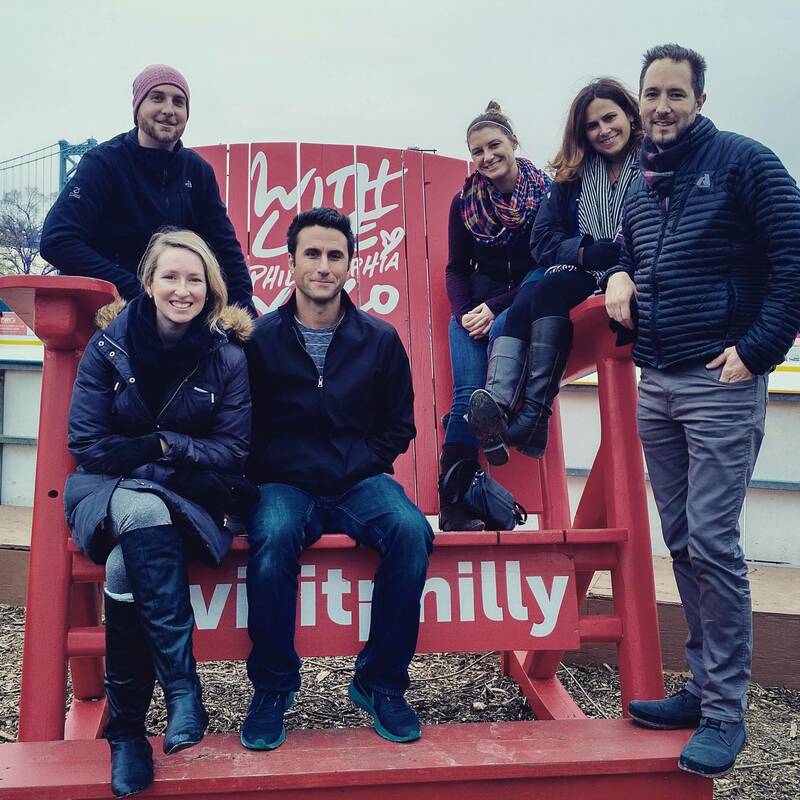 Attending Content Marketing World? We’d love to meet you there. What are you doing next week? If the answer is attending Content Marketing World in Cleveland Ohio, our response would be, "DITTO!" NetLine Corporation, including teams from NetLine, TradePub, and RevResponse, will all be in attendance and eager to meet with Partners. 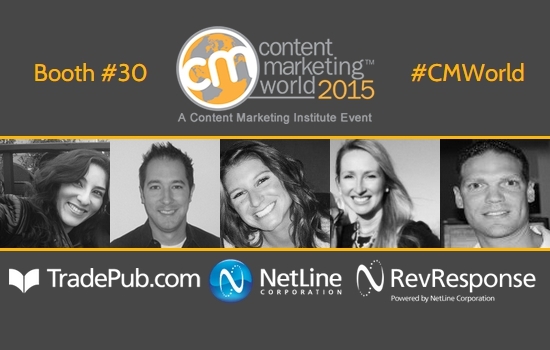 Let us know if you’ll be there so we can schedule a meet-up at Content Marketing World. Plus, NetLine Corporation is sponsoring a booth this year with lots of great prizes. Come visit us at booth #30. 1,2,3...Promote! RevResponse Partner Challenge Starts Now. 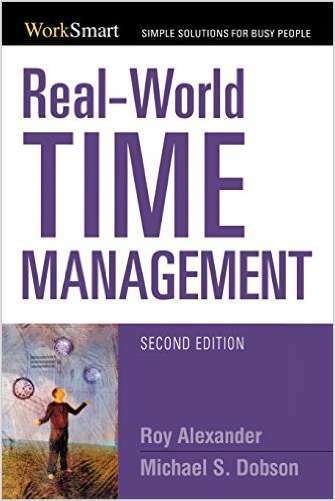 "Real-World Time Management (A $12.00 Value) FREE for a limited time!" 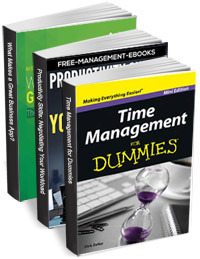 An indispensable plan for creating more time and less stress in your life.